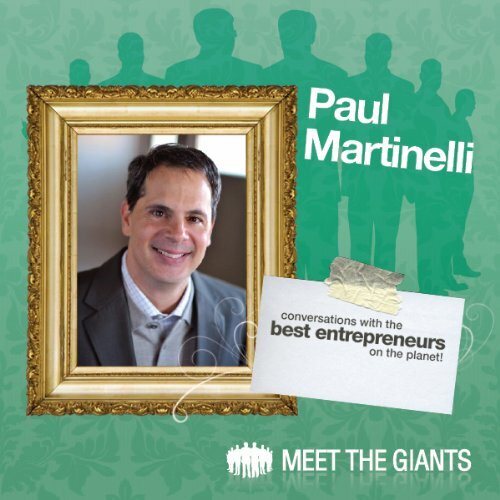 Paul Martinelli went from high-school drop-out to millionaire entrepreneur and is now a business partner with one of the world’s foremost authorities on wealth creation, Bob Proctor. He’s an international speaker, teacher, and coach, and shares the stage with masters of personal development, such as Wayne Dyer, Les Brown, Brian Tracey, and Mark Victor Hansen. This interview may contain references to dates and events, etc., which have already taken place - these references have not been omitted in order to maintain the integrity of the recording as all Meet The Giants interviews are REAL and unedited conversations.